Nobody completely understands why a person who drinks less than most, becomes an alcoholic, while another person who drinks more, does not. However, if you were trying to create an alcoholic the surest way to do so would be to start an individual drinking as young as possible. Drinking before age 15 makes it 5 times more likely that person will become alcoholic later in life as compared to those who begin at or after age 21. The first stage of alcoholism is the learning period. Most people start drinking before the age of 21 and many begin in high school or younger. Scientific studies indicate that the younger a person is when he or she starts drinking the more likely he or she is to become an alcoholic later in life. Young drinkers typically drink to disinhibit, which they perceive as having fun. It is part of social experience among peers. They party, get drunk and do things they normally would not do. Young drinkers who suffer consequences like a hangover, parental discipline or teenage pregnancy will often moderate their behavior to minimize future consequences. However, there are others who perceive having fun worth whatever consequences they’re having. This is an important distinction because when a person only focuses on the fun and disregards the consequences they are likely to act regardless of consequences thus ensuring greater consequences as their life unfolds. This later group is described as having maladaptive behaviors, which is associated with the onset of alcoholism. As a person’s drinking career progresses it typically means an increase in consumption both in amount and in frequency, which creates a condition known as tolerance. Alcohol tolerance simply means a drinker must increase consumption to achieve the same intensity of effect previously experienced at lower doses. As stated earlier, the association between disinhibition and drinking is clear. However, the concept of disinhibition is very broad. There are four subtypes of disinhibition, which are urgency (acting rashly in response to distress), sensation seeking (seeking stimulation), lack of deliberation (acting without thinking) and lack of persistence (not completing tasks). 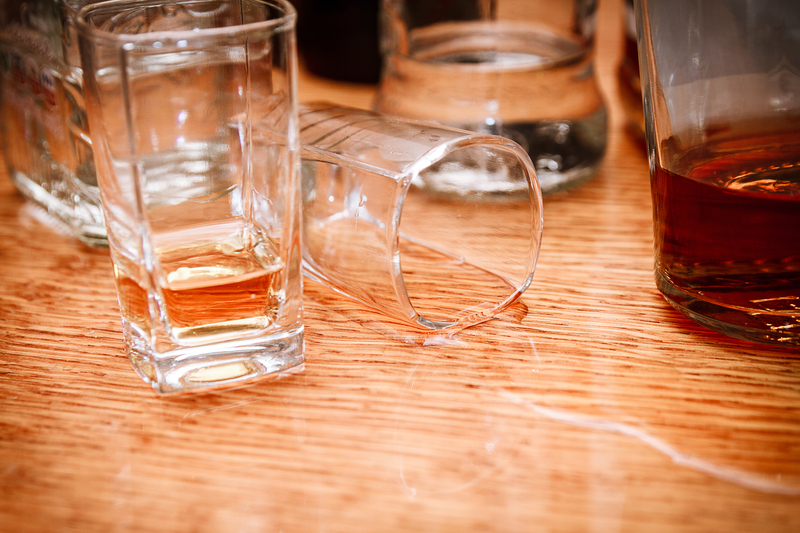 Only acting rashly to subjective distress is associated with alcoholism. In other words, alcoholics tend to drink to relieve themselves from perceived problems. Therefore, drinking is a negative reinforced behavior. Negative reinforcement is when a behavior causes something uncomfortable to lessen. What drinking does is provide a distraction from the initial perception of distress. Negative reinforced drinking often manifests as compulsive drinking because it distracts attention away from distress but only temporarily so you have to drink over and over again. To make matters worse, the next perception of distress is more likely to initiate a drinking event as opposed to a more adaptive response. In other words, the alcoholic has learned to drink compulsively whenever he or she perceives distress. Life is a struggle. In order to stay alive a person must work, pay rent, put gas in the car, mind the traffic laws, manage relationships, and so on and so forth. With that being said, stress is a common experience for people. Too much stress causes distress. Over time, an alcoholic’s drinking pattern gets worse because they drink to deal with the stress. Once compulsivity has set in, daily drinking is an almost forgone conclusion. The major consequence of daily drinking is physical dependence to alcohol. Alcohol dependence is a neurobiological condition whereby a person is susceptible to alcohol withdrawal symptoms whenever they stop drinking. The alcoholic is drinking to distract distress from his or her everyday life as well as the distress from knowing that alcohol withdrawal symptoms will develop if he or she stops drinking. Therefore, alcoholics cannot stop drinking. It is at this point that many alcoholics drink themselves to death. Chronic exposure to high doses of alcohol can result in profound changes in the morphology, proliferation, and survival of neurons. There is internal damage being done to the brain, skin, nervous system and liver. Some of that damage is irreversible, which can result in strange and rare diseases like alcoholic hepatitis, Wernicke-Korsakoff Syndrome and cirrhosis of the liver. Alcoholics rarely stop drinking on their own. They often need outside pressure to motivate them to quit, and most need professional help to stop. Typically, motivation to quit drinking comes from family interventions, law enforcement (DUI), or disgruntled spouses, while professional help is generally through alcohol rehab facilities, alcohol detox centers and hospitals.